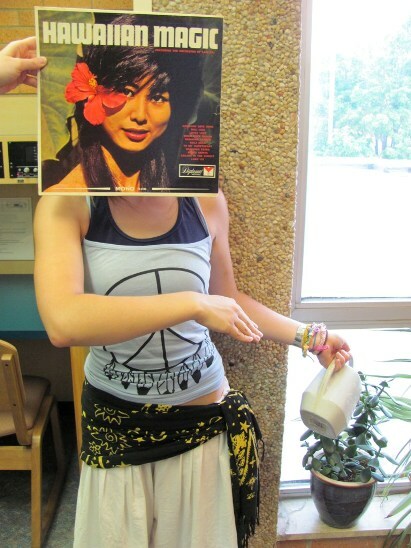 Working and chores are always better when one incorporates a Hawaiian soundtrack and some hula dancing. In this photo: Lisa Disinger and Denielle Buenger. Photo by Liz Tousey.